The BEAT GARDEN is a trio formed by three vocalists and a DJ, who compose, make track and write lyrics. Their band name “THE BEAT GARDEN” derives from their metaphor-imagery of themselves having fun with the audience to the flower growing in to full bloom in the garden. Also, it represents their hope to grow from mere seeds into beautiful flowers. 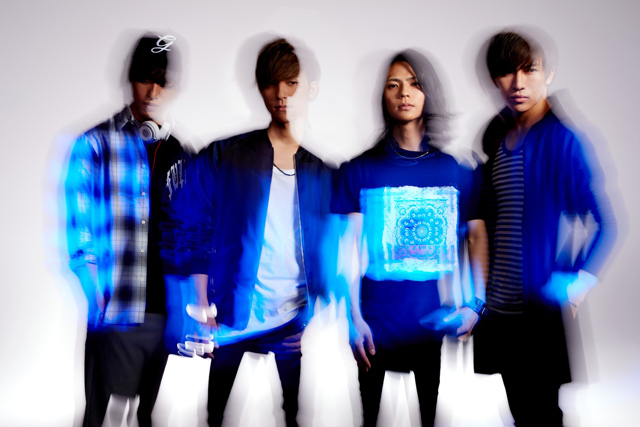 In 2012, U,REI, and MASATO formed the group, who met at a school in Osaka. They moved to Tokyo one week after the formation of the band, and started performing around Tokyo area. Their indie 1st full album “WILL” ranked 3rd in ORICON indie ranking, and sold 7000 copies throughout the year. They actively performed and sold out their solo show at BIG CAT Osaka. In December, they welcomed DJ SATORU as a new member. A new EP “Air” was released in February 2015. The promotional solo show for “Air” ended as a big success at BLITZ AKASAKA, the biggest venue they’d ever filled.